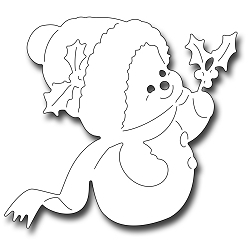 Nancy Hill, Design Team for Frantic Stamper wants to share with you this gorgeous little snowman that will warm your heart as well as others. I colored this little one in Copic markers and added some glitter to the holly, hat and to the snow. I used the gorgeous Frantic Stamper Square Christmas Vintage stamp set for the sentiment. The poinsettia are from the Sue Wilson Filigree Poinsettia die set. 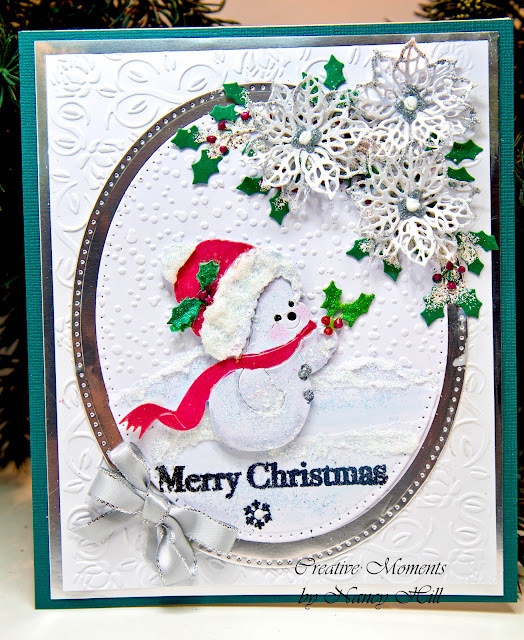 The embossed falling snowflakes and background embossing are from Sue Wilson Christmas collection.